For those who want the extraordinary, not the ordinary. "Probably the largest and most beautiful selection of sympathetically restored French, antique wood burning stoves in England." Would you like a wood burner but don't fancy looking at a very boring 'black box' for the 6 months of the year that it's not in use? 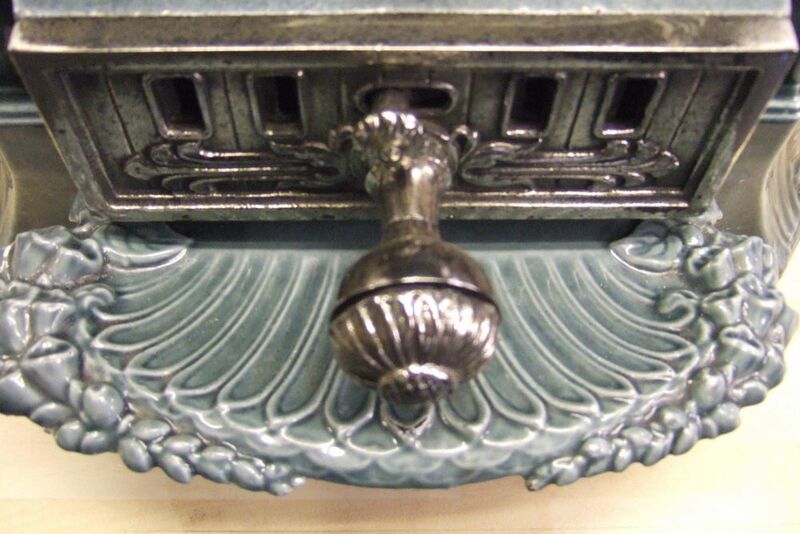 Look no further…..you could instead be looking at a beautiful, colourful, decorative enamelled antique French stove. Even if you don't have a chimney you could have one of our stoves with a Bio Ethanol box in, no mess, no fuss, no fumes. Check out our Bio Ethanol page here. We, at Stove Hunters, search out the best French cast iron stoves all over France for your perusal. We endeavour to stock a good variety of designs, colours, periods and styles to give you the maximum choice to complement your home and lifestyle. Also bear in mind that environmentally, our stoves are a great choice as they are essentially being saved from the landfill and given a new lease of life in your home. So much better than a Chinese new stove with their horrific carbon footprint. Choose one of our stoves and the environment all in one go. Want one of our stoves, but don't have a flue or a chimney? Look no further. As well as conventional stoves we also sell Bio Ethanol boxes to fit inside some of our wood burners so you don't need a chimney or a flue and you can position them in any room. No wood, no flue, no fumes, no mess. They are not suitable for all our stoves as they need a certain amount of air to work safely and efficiently. They only emit the same as you exhale, carbon dioxide and a small amount of water vapour. Let us know what sort of stove you like and we will advise if this is feasible or we may even be able to adapt a stove to enable the use of bio ethanol box. So now you really can have it all even if you haven't got a chimney. Just ask or check this page. Fancy snuggling up on a cold winter's evening in front of a beautiful stove with the flames flickering away? Look no further. We only select the best stoves when we are in France. If they are an exceptional stove but the enamel is badly damaged we will have them stripped. All our stoves undergo full body off restoration and are ready to be installed to give your room that extra special touch, and best of all they look gorgeous even when they're not lit. France has a distinct style to it and people often have a particular image in their head when they think of French homes (which is not always as it is in real life I have to say). 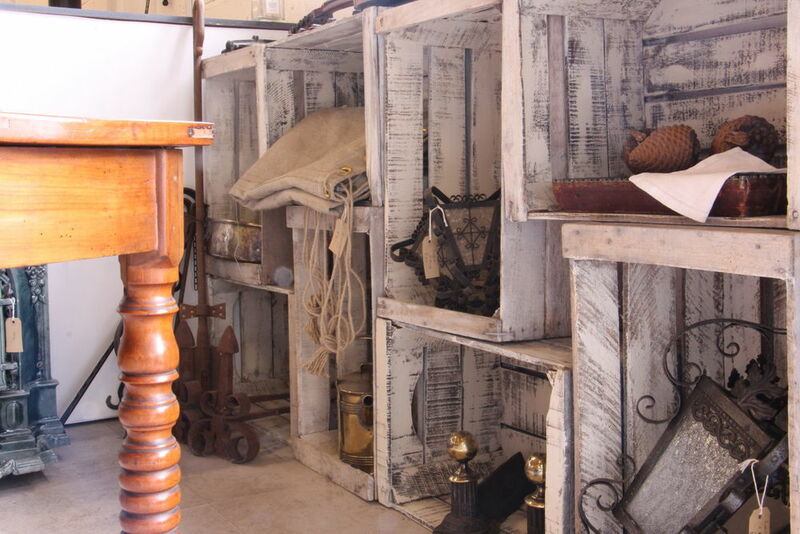 So when we are over in France we search out interesting French items for you, including side tables, lights, advertising items, door furniture, small furniture etc so that you may be able to recreate that style and look. A lot of our furniture is painted in shabby chic style to give that Parisian chic and is very neutral, greys, creams etc to blend in with many interiors. We find our clients are often styling their house to reflect their love of France and we try to facilitate that and find those hard to find things which make the difference. We are Tom and Amanda Humphreys and we have been running Stove Hunters since 2012 after we came back from living in France for 6 years in the Loire region. We saw a gap in the market when we couldn't help notice that there did not seem to be any other UK based businesses selling these lovely wood burners run in a professional manner. Hailing originally from Shropshire, on the Welsh border, where we had owned Smithy Reclamation. We were not exactly unfamiliar with these gorgeous French Wood Burners as we would occasionally go over to France on buying trips all those years ago. Then when we moved to France we would buy them and sell them to fund our occasional trips back to the UK and the idea just grew from there to what it is today. We are now very lucky to have a purpose refurbished showroom in an old grain store just 25 mins from Junctions 14 & 15 off the M4. We are one of the very few showrooms in the UK dedicated to the wonderful, colourful world of antique French wood burning stoves. Plenty of parking and 1200 sq ft of showroom for you to peruse and decide on which antique wood burner would put the finishing touches to your home. Our restoration workshop is also on site so you can have a chat with Tom about any concerns you may have and if you are lucky, you will be able to actually see a stove being restored. We usually have between 20 and 40 restored French wood burning stoves on display from which to choose; something for everyone; from the over the top, but sumptuous salamandres which must have looked so great in a beautiful Parisien appartment to the more sparten art deco stoves; dedicated woodburners and multi fuel stoves designed to stay in all night; all shapes and sizes and colours. We regularly send our French Antique wood burning stoves all over the world so wherever you are, you can have one of our stoves. Just email or phone for a quotation. Have a good look through our website and you will see wood burners for sale and also vintage stoves which are now sold. We do not show these to frustrate, rather to inspire and if you see something you like which is sold, let us know and we can see if we can find another one on a buying trip. These cast iron stoves generally are not one offs but some are much harder to find than others so please ask. Ever wondered how it's done? Watch Tom dismantle a Godin Radiolette in a time lapse video.